Our single axle Off Road Bush Buggy trailer is equipped with a pull-out tailgate and a labour saving tilt mechanism to allow easy loading and unloading of your payload. An ATV Inline carrier for the avid ATV owner or hunter. Hot dip galvanized for maximum corrosion resistance. Incorporates a light panel to protect the tail lights and add strength to the frame. 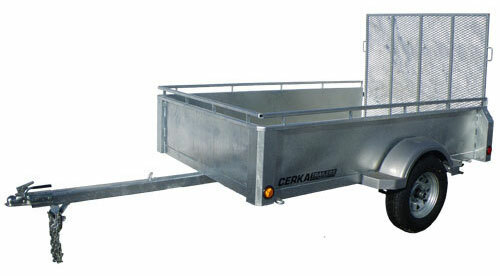 Cerka Box Trailers... With a reputation for being robust and reliable! 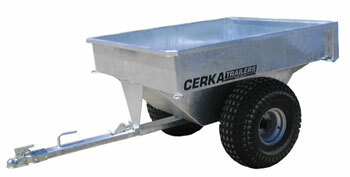 A premium quality utility trailer for the home handyman, gardener or small landscape business, the difference is Cerka Industries ability to deliver unmatched performance and reliability from the ground up.